Dean J. Zipser is a recognized leader in the Orange County legal community, having served as President of the Orange County Bar Association (“OCBA”) and the Association of Business Trial Lawyers-Orange County Chapter, and, most recently, chairperson of the Orange County Bar’s Masters Division (serving those in practice 25 years or more). Dean has been named as the 2017 recipient of the OCBA’s Franklin G. West Award – presented annually to an outstanding attorney or judge whose lifetime achievements have advanced justice and the law. In 2003, Dean received the Jurisprudence Award given by the Anti-Defamation League, which recognizes individual commitment to the highest ideals of the legal profession and dedicated service to the community. 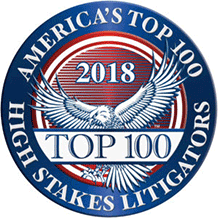 He has been listed for eleven years as one of the “Best Lawyers in America®” in the fields of Bet-the-Company Litigation, Commercial Litigation, Intellectual Property Litigation, Banking and Finance Litigation, and Real Estate Litigation, and has been named Best Lawyers’ Orange County Intellectual Property Litigation “Lawyer of the Year” in 2017, after also being named Orange County Bet-the-Company Litigation “Lawyer of the Year” in 2014. In addition, he has been chosen as a “Super Lawyer” since 2005, an honor limited to only 5% of Southern California lawyers. Dean is known for his handling of large, complex, and “bet-the-company” cases, from pre-trial consulting, through pre-trial, trial, and appeal. His civil business litigation practice includes complex matters in intellectual property, consumer class actions, contract, business torts, fiduciary duty, real estate, construction, environmental, and lender liability. He also advises clients on techniques to avoid or minimize the risks of litigation and has extensive experience in alternative dispute resolution procedures. In addition, Dean has been trained as a mediator, and has been called upon to assist parties in settling disputes. Dean serves a list of premier industry leaders and Fortune 1000 companies, as well as a host of other companies and individuals. Some of his cases have included: representing leading computer manufacturers in various consumer class actions; commercial litigation matters for national retailers; handling disputes involving real estate, construction, contract, and class-actions on behalf of large residential real estate developers; and litigating intellectual property matters for a variety of clients in a host of different industries, including retail, restaurants, toy manufacturing, and charitable organizations. Dean was honored to be named as one of the 176 lawyers nationwide on the BTI Consulting 2009 Client All-Star Team. The survey was the result of interviews with more than 270 general counsels at Fortune 1000 and other companies. BTI sought the attorneys who stand for leveraging knowledge of their clients’ businesses to deliver strategic advice, who keep their clients’ interests top of mind through the efficient use of time and resources, and who provide responsive and timely answers to clients’ most precious needs. A committed advocate for those who are less fortunate, Dean regularly works on cases on a pro bono basis and has served on the Board of the Public Law Center. Prior to joining Umberg Zipser LLP, Dean was a partner with Manatt, Phelps & Phillips, LLP (co-chair of the firm’s Class Actions and Financial Services Litigation practice groups), and before that was the managing partner and head of the Litigation Department at the Orange County office of Morrison & Foerster LLP. Prosecuting and defending contract, unfair competition, false advertising, product liability, and business tort actions for computer manufacturers. Representation of computer manufacturers in various consumer class actions involving claims of product liability, unfair competition, breach of warranty, and false advertising, and alleged statutory violations. Representation of numerous financial institutions in class actions alleging breach of contract, unfair competition, and regulatory claims. Representation of product manufacturers in various product liability and warranty claims. Representation of real estate developers in various construction-related class action claims. Representation of a leading restaurant chain in a high-profile trademark matter challenging the use of the term “Taco Tuesday” in which we secured a summary judgment on all claims. Representation of a diverse group of clients including large retailers, a real estate developer, computer software manufacturer, and a number of charitable organizations in various trademark, service mark, trade name, and copyright litigation. Dean has written on various litigation and practice-related subjects. 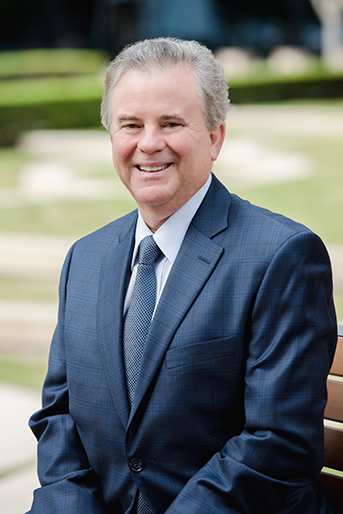 Among other things, Dean also has authored articles on intellectual property and other litigation topics in bar association and business journals, including Orange County Lawyer and Orange County Business Journal. In addition, he wrote the chapter “Developing Young Lawyers” in Raise the Bar, published by the American Bar Association. For approximately 15 years he co-authored the yearly supplement to the California Continuing Education of the Bar’s publication of California Lis Pendens Practice, and co-authored the second edition of that book. For the past several years Dean has co-authored the chapter on pretrial motions in the California State Bar Litigation Section’s yearly update of California law. He also is the author of “Builders’ Liability for Latent Defects in Used Homes,” which appeared in the Stanford Law Review. Dean has lectured on various litigation- and practice-related subjects, including legal ethics, discovery, intellectual property, pretrial discovery, real estate litigation, and governance issues. He has been a speaker or panelist for a variety of organizations, including The Rutter Group, Orange County Bar Association, Federal Bar Association, Association of Business Trial Layers, and the National Association of Bar Executives.